Guests aboard Royal Caribbean ships can look forward to seeing a new film during muster drill. Cruise Critic spotted a new safety film that evokes a secret agent vibe that guests can watch in their stateroom prior to the mandatory safety drill that takes place before the ship can sail away. The film is named "Operation: Little Bear," and will roll out to Royal Caribbean's fleet in June. Guests aboard Oasis of the Seas reported seeing the film already as recently as last week. Royal Caribbean will add lifeguards to all of its cruise ships in an effort to improve onboard water safety. Cruise Critic reported the change, which will see Royal Caribbean add licensed lifeguards that are trained through a partner company, StarGuard Elite. At least one lifeguard will be stationed at every pool (including the Solarium) during all open hours, and will be noticeably visible in bright red and white uniforms. All have been hired specifically as lifeguards and will not serve in any other role onboard. In addition, Royal Caribbean will present a 15-minute water safety presentation during the Adventure Ocean open house session on embarkation day. The lifeguards and water safety program will be deployed to all of Royal Caribbean's cruise ships over the next four months. 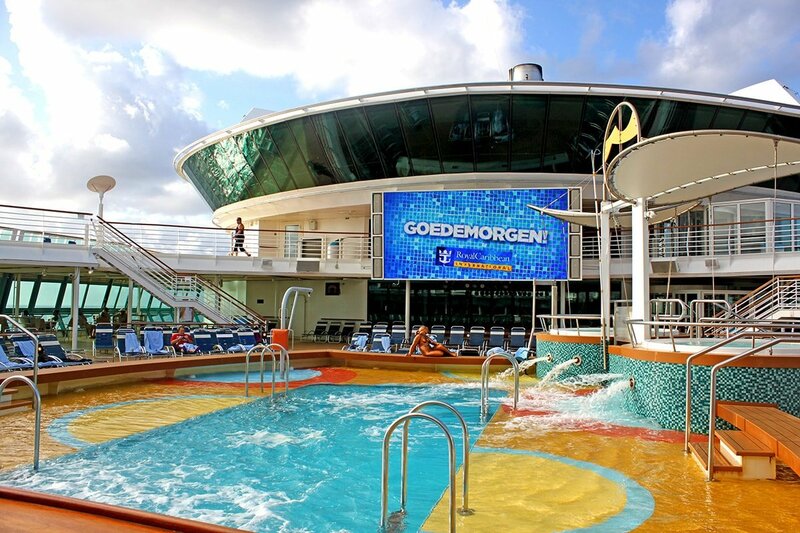 The program debuted on Oasis of the Seas this week, and will be added to 14 ships by mid-April. All remaining cruise shops will have lifeguards added by June 15. Royal Caribbean began offering guests the option to use life jackets for children to use in the pool in late 2015, but adding lifeguards and water safety programs is a big step forward. 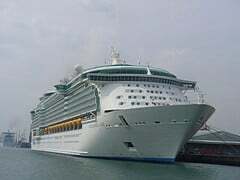 Royal Caribbean's Majesty of the Seas was kept in port through Tuesday morning, after U.S. Coast Guard inspectors forced the ship to remain in port until an issue with the lifeguards was resolved. Cruise Critic reports a spokesman from the U.S. Coast Guard cited the delay stems from the ship's older life jackets, "generally speaking, problems with older life jackets can include fraying straps that could break when a person was in the water or disintegrating foam that will not float in the water." Royal Caribbean sent messages via Twitter to convey the company is working around the clock to fix the issues. @rockytopinfl We're currently working around the clock to get all issues resolved. All future sailing will not be impacted by this. There has not been any indication yet when Majesty of the Seas will be able to set sail on her 4-night Bahamas cruise, nor what impact the delay will have on the ship's itinerary. 9:30am Update: Royal Caribbean is offering guests a 25% refundable onboard credit, and a 25% Future Cruise Certificate. @eric_thebruce The comp offer is a 25% refundable onboard credit, and a 25% Future Cruise Certificate. ​Royal Caribbean sends its more than 11,000 Filipino crew through safety training at its facility in Marongondong, Cavite, Philippines. Friend of the blog, John Roberts, sent us these photos from his recent tour of the facility. The campus offers courses on Basic Safety Training, Advanced Firefighting, Survival Craft Operations, Water Rescue and other related courses designed to help build the competencies of cruise staff in a wide range of maritime skill sets. The conditions created during the exercises simulate actual shipboard scenarios. John Roberts writes about cruise and fitness-based travel on his website InTheLoopTravel.com. 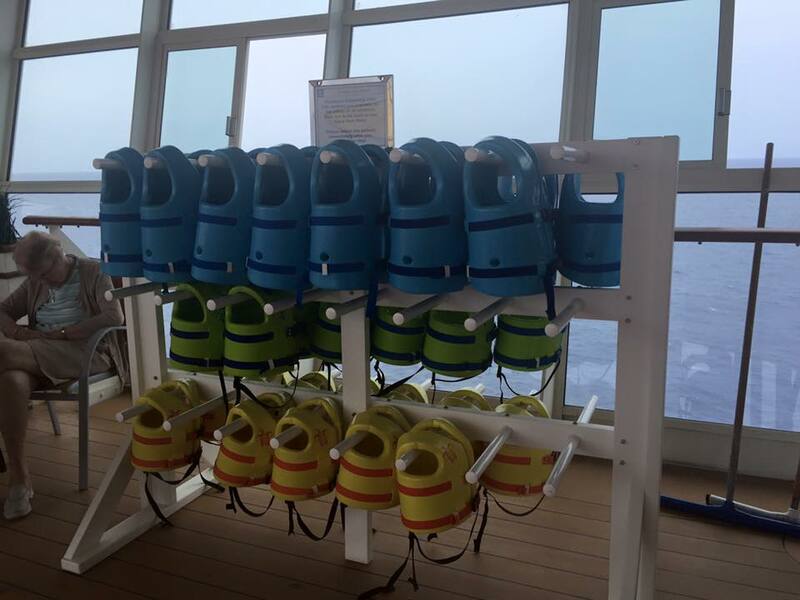 It appears Royal Caribbean is providing life jackets for children to use in the pools on Oasis of the Seas. Leigh Cormack from the Oasis of the Seas Cruisers...Past, Present, Future Facebook group took these photos of the new life jackets. The sign reads, "Children's Swimming Pool Life Jackets are available for the safety all children. They are to be used on the Oasis Pool Deck." We have not spotted life jackets for pool use like this previously. The life jackets for children could be a response to recent pool accidents involving drownings. Do you think Royal Caribbean offering life jackets for kids in the pool is a good idea? Share your thoughts in the comments! 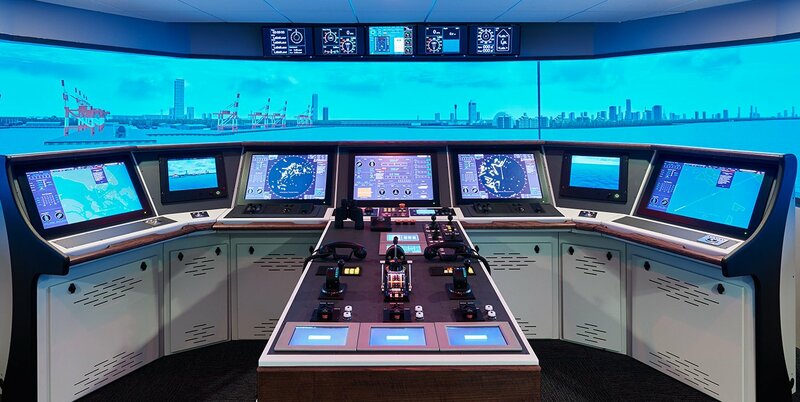 Royal Caribbean has provided a look at its Simulation Training Center at Resolve Maritime Academy in Ft. Lauderdale, Florida. The 7,000 square foot training center launched in 2012 and cost $6.5 million, where the bridge facilities have been replicated for a safe place to train Royal Caribbean junior officers on how the real thing works. The computer simulations displayed on high-definition screens include some 200 ports visited by Royal Caribbean ships, with all their landmarks, buildings and seaside facilities. As various conditions and perils are brought to bear, trainees respond using controls just as they exist on their actual ship’s bridge. Officers here can practice and refine their skills onshore to handle any situation that may occur at sea. 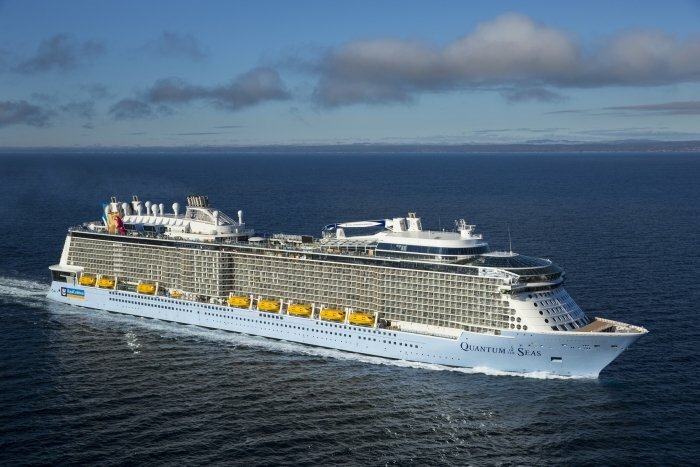 Royal Caribbean's Quantum of the Seas was chosen by the Royal Institution of Naval Architects (RINA) to be the recipient of the Maritime Safety Award. Quantum of the Seas is the first cruise ship to ever win the award in the 155-year history of the RINA. The Safety Command Centre breaks down incident response, physically and functionally, into a collection of “pods,” each with its own specialty, which can act separately or as part of an integrated response as each incident requires. Professors Dracos Vassalos and Tom Allan, who are RINA fellows and sit on Royal Caribbean's Maritime Safety Advisory Board, say Quantum of the Seas' Safety Command Centre addresses a need for cruise ship safety. A six-year-old boy from the United Kingdom was found unconscious in the pool onboard Royal Caribbean's Independence of the Seas earlier Tuesday. The boy was was air lifted in serious condition to a hospital in Brest, France after he was found in cardiac arrest at the bottom of the pool, according to officials in Brest. "The child was found in a state of cardio-respiratory arrest at the bottom of the ship's pool," said Yann Bouvard, a spokesman for the maritime prefecture in the port of Brest. Shortly before 2:00pm (12:00 GMT), sea rescue services were requested and a helicopter was sent to the ship that was in the Atlantic. Two hours later, the child was transferred to the Morvan hospital in Brest where his condition was described as "grave". Resolve Marine Group provides state-of-the-art experiences for Royal Caribbean crews.